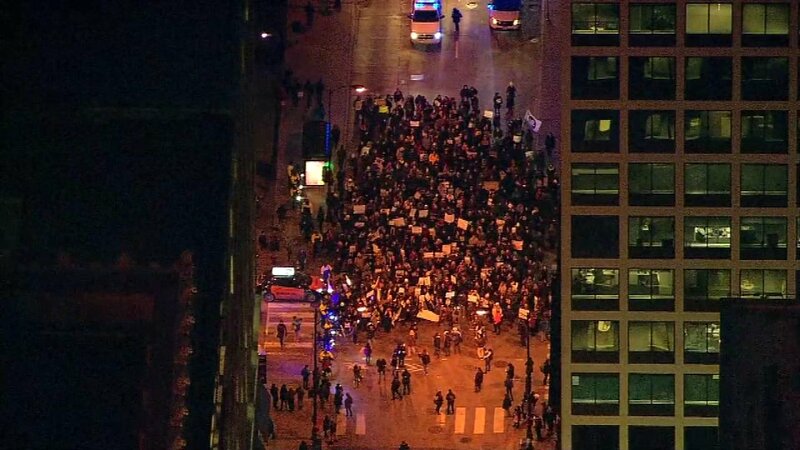 CHICAGO (WLS) -- There was a protest against Donald Trump's executive order on immigration in downtown Chicago Wednesday evening. The demonstration started at the corner of Van Buren and Canal in front of the offices for the Department of Homeland Security. There were rolling street closures as the group marches towards Federal Plaza. The group protested Trump's temporary order banning Syrian refugees and travelers from seven Muslim-majority countries.